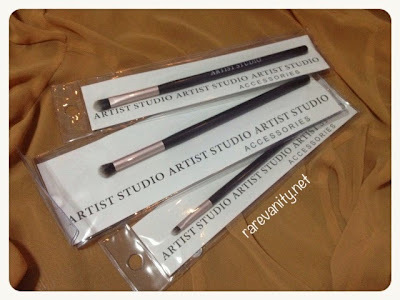 Artist Studio Makeup Brushes | Vanity and Everything in Between. It's been awhile since I've reviewed makeup brushes. For me, it's one of those tools that is hard to review right away because the moment you use it, you just can't stop using it. Oh, and the chore of having to clean them brushes. Let's not even go there. You get the idea. One random night that I was killing time, I was going around the beauty section of Landmark to check if there are new products, etc. I checked their tools section and saw these brushes! I'm always on the look out for a blending brush as it is very essential for my eye makeup. It's great to always have back up for those. When I saw the blending brush, I grabbed it and ending up grabbing two more brushes. Why? Find out after the jump! I was surprised to find out that the price of those brushes range from PhP49.75 to PhP59.75 only! That's a total steal! Not to mention that these are synthetic brushes which are usually more expensive than animal hair brushes. I got myself this tiny brush. It doesn't say what type of brush this is. 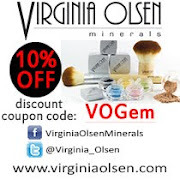 It can be used as a lip brush or a spot concealer brush. I use this to spot conceal my blemishes. The size of the bristles is perfect. This is the brush that costs Php49.75. This second brush is the usual flat shading brush. 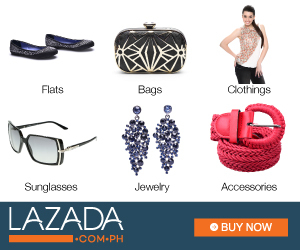 I didn't want to purchase this at first but since it's very affordable, I just bought it anyway. I find this quiet big for a shading brush so every time I use this, I do the patting motion instead of the swiping motion. 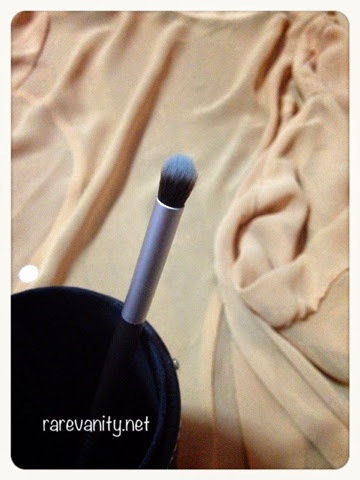 Swiping the eyeshadow with this brush will result to falling out of the eyeshadow. This brush costs PhP59.75. Finally, the brush that I really wanted to purchase! I got this blending brush/bullet brush as a back up. I lost one of my blending brushes at work and it was a MAC 224 for crying out loud! With that traumatic experience, I told myself to bring fairly cheap brushes at work that work just fine. This blending brush is not as soft the the MAC 224 as the bristles of MAC 224 is more widespread than the Artist Studio. I like this brush though because it can still blend my transition and crease eyeshadows. I can also use this when I want a defined smokey eye since the bristles are dense. This brush costs PhP59.75. 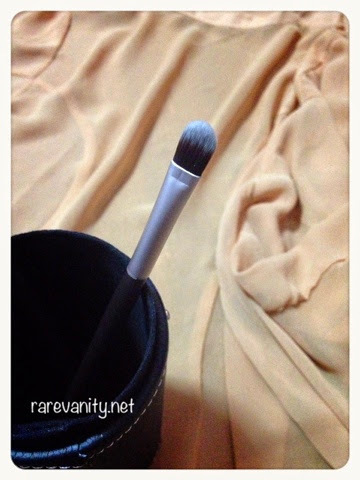 Since these brushes are synthetic, they are very easy to clean. I usually use neutral shades for my office makeup so there are no bold colours that stay on the bristles. However, when I use the brushes with bolder eyeshadows, I need to wash them at least thrice to make sure the brushes are really clean. They dry fast, too, unlike most synthetic brushes that I have. For the price, these brushes are worth it. Sometimes, I wish the blending brush is a bit softer though and that the shading brush was a bit smaller. Other than that, the brushes are okay. For beginners, this is a great investment! PS. I already lost the blending brush and it didn't hurt because I was able to purchase another one right away! 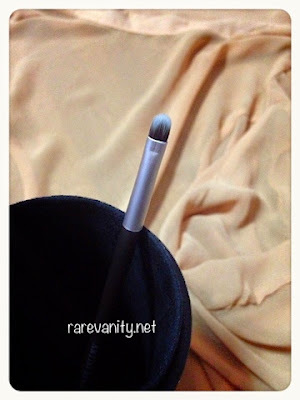 Have you tried these brushes from Landmark? Let me know how you like them! I have almost a complete set of Artist Studio brushes, complete with a couple of backups! My favorite is the angled eyebrow/liner brush, it has the right amount of stiffness to properly do brows.